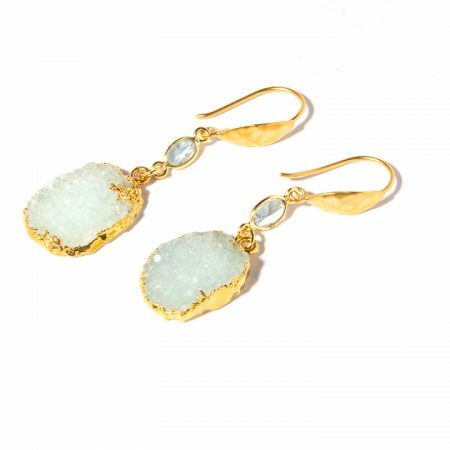 These earrings are a must have! 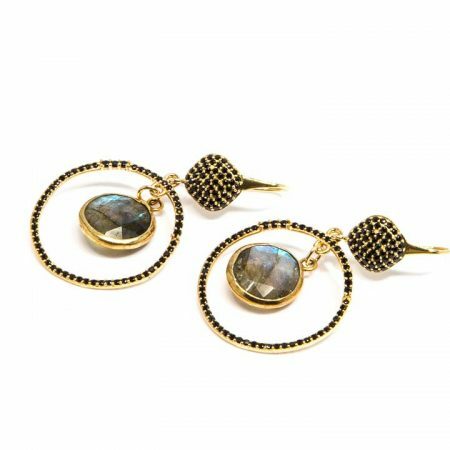 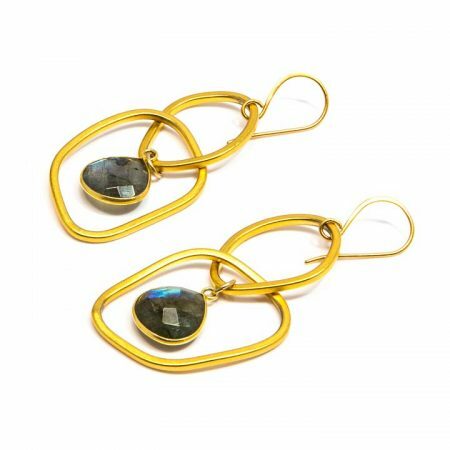 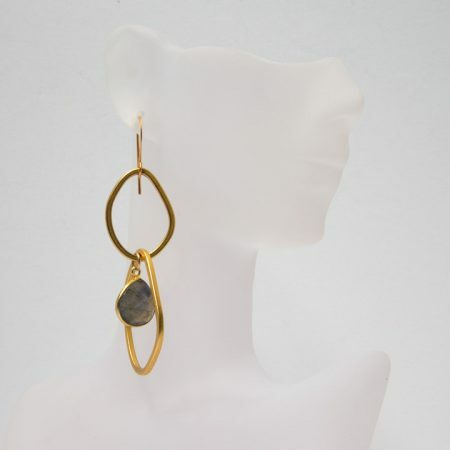 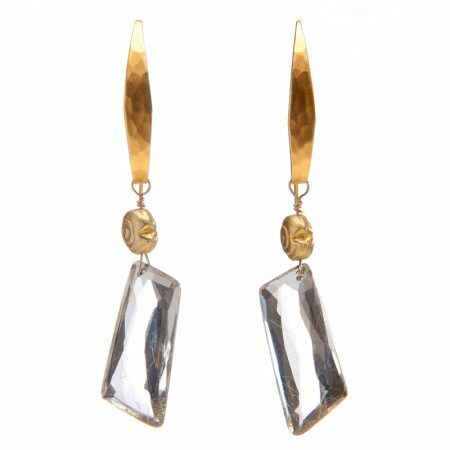 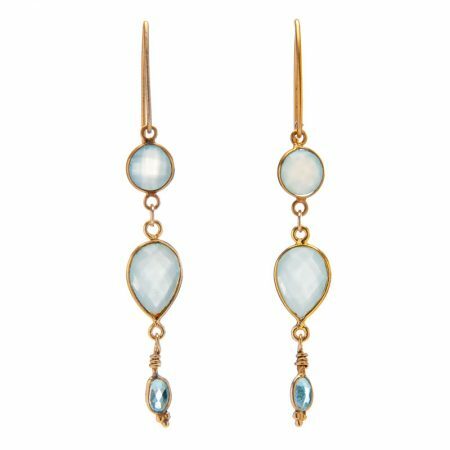 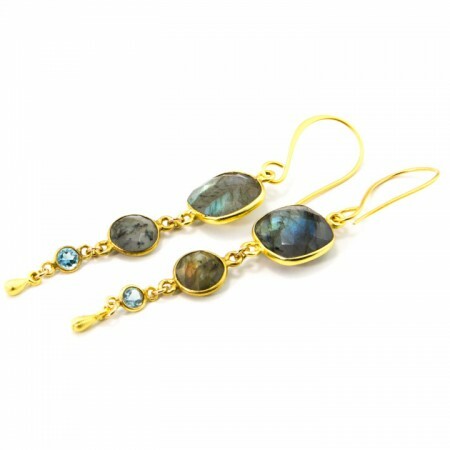 A gold bezeled labradorite stone dangles inside two interlocking gold rings. 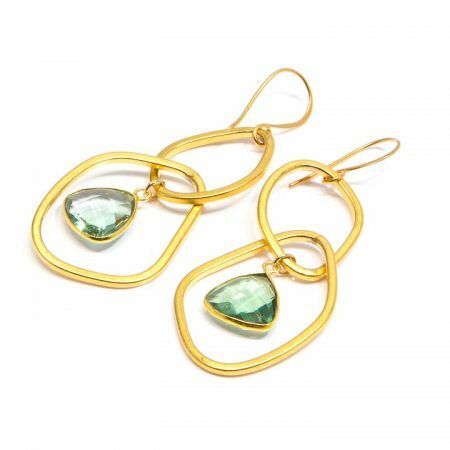 A simply perfect statement!